From whimsical fountains to quiet pools, now’s the time to quench your thirst for the hottest garden water feature around. 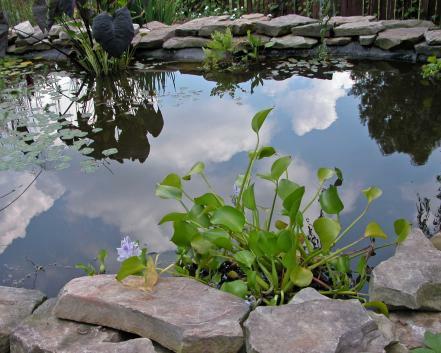 This pond adds tranquility, reflection and ambiance to its landscape. 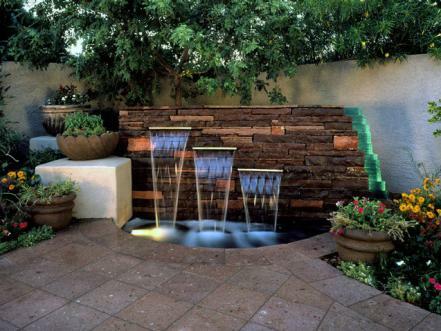 A partially above-ground water feature, it was created with stone-and-mortar walls, then finished with a butyl liner. 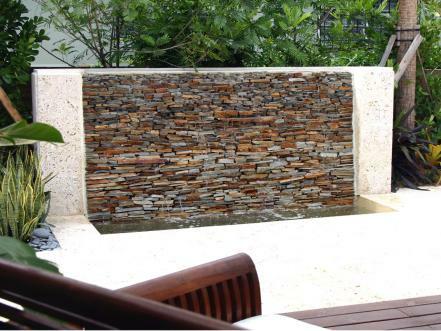 This stacked-stone water feature functions as an art piece that’s visible from the patio, deck and even indoors. 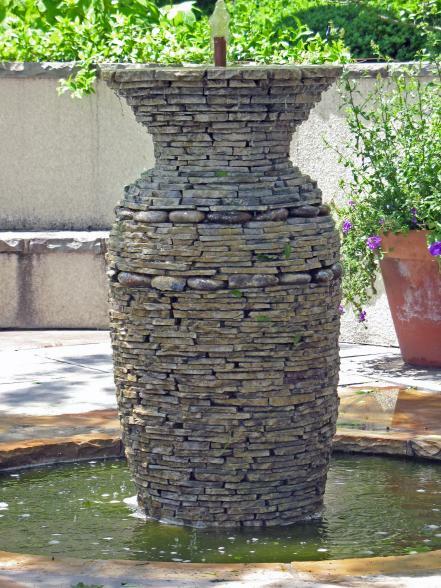 It looks like a vase, but in reality this stacked-stone work of art is a courtyard patio fountain. An intricate water feature wraps the entire back end of this dream house; water spills over a brick wall, encircles the patio, flows underneath the breezeway and empties into a fish pond. A raised pond at the head of the feature provides the drop needed for water to flow well and create more waterfall sound. 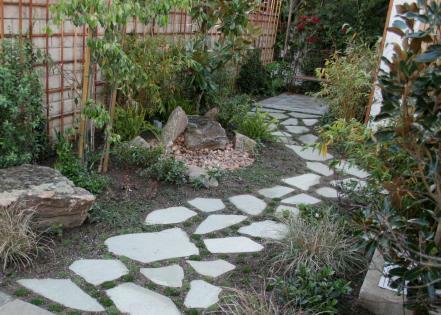 The feature uses a careful mix of large boulders, medium rocks and small pebbles for a natural appearance. Selecting extra-large plant material makes the brand-new house and landscape look already well established and will soon provide privacy from the neighbors. 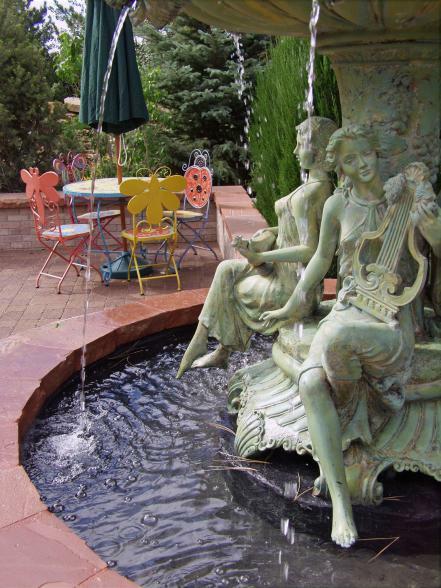 A classical European-style fountain is paired with whimsical seating. 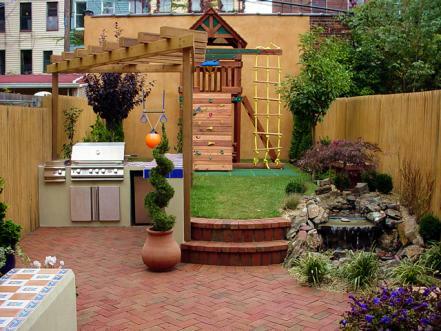 This urban backyard makeover manages to fit in places for play, cooking and a small water feature with a remote-control waterfall. 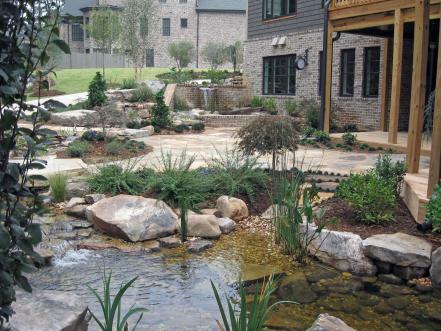 This garden takes advantage of the natural landscape, and combines it with the simplicity of garden design. 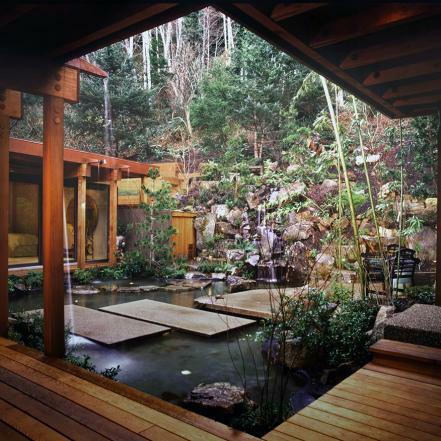 The path in this narrow urban backyard passes the simplest of water features (center) — one boulder resting on another, with copper tubing in between. The crystal falls of this water feature wall sparkle with light, thanks to an underwater light hidden in the basin. Light play can be an important part of any landscape and add a whole new dimension to a yard. Reflections also play off the stacked-glass edge of the stone wall. 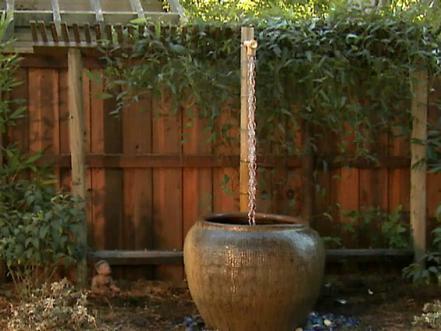 A simple but beautiful fountain: Water cascades down a rain chain into a pot. 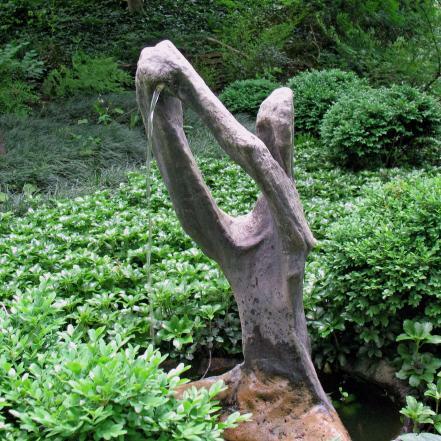 In a private woodland glade, a modern “bather” presides over a small pool. Want an indoor water feature? 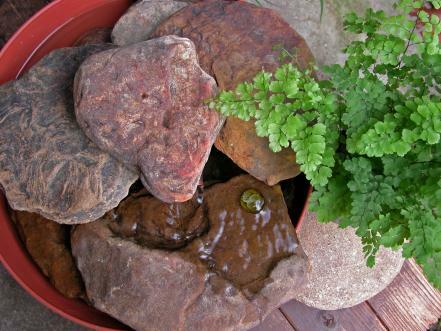 It’s easy to create a tabletop fountain. 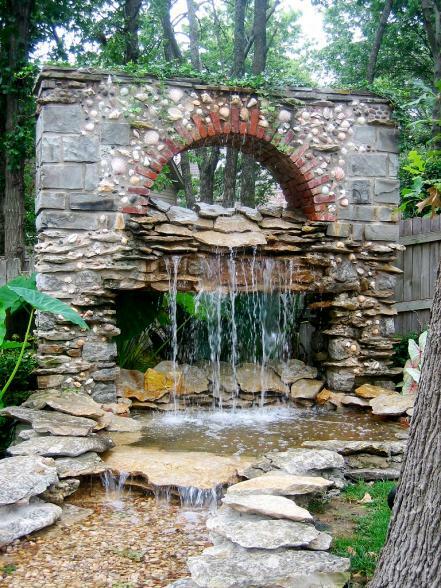 This combo waterfall and pond is a stunning focal point in the garden. 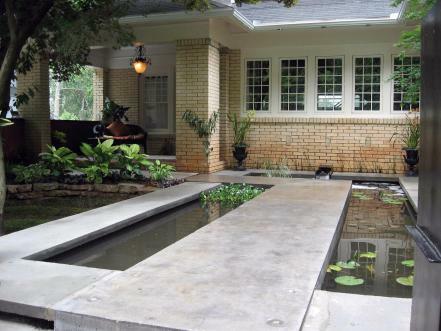 The walkway to this home is a “causeway” over a pond.